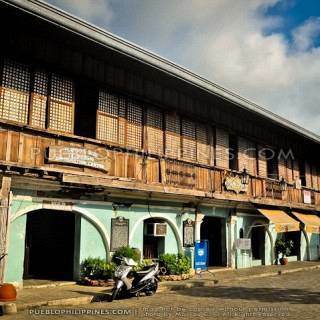 First Night in Ilocos Sur – hello Vigan and Bantay! 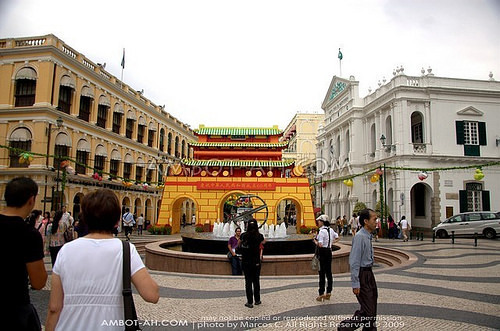 We were having such a great time at the Venetian Macau that we could have enjoyed spending the whole day playing at the casino and doing photo ops at its grand halls but we needed to carry on to our next destination since we were flying out back to Manila the same day. 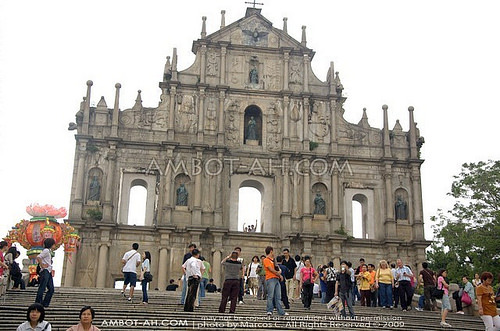 Now off to Macau’s most famous landmark, the ruins of Saint Paul Cathedral and Senado Square! We rode The Venetian Macau’s free shuttle back to the Macau Ferry Terminal and from there, we rode Bus 10A to Almeida Ribeiro Avenue. 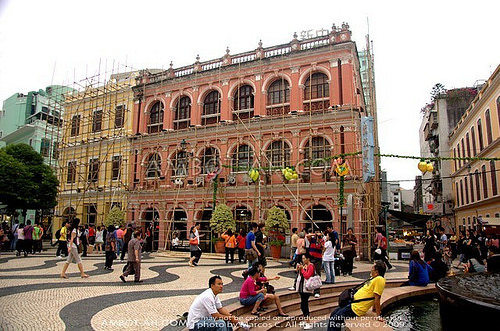 The street is a great attraction in itself with excellently preserved row of colorful street shops and heritage buildings such as the Banco Nacional Ultramarino (1902) and Central Post Office. 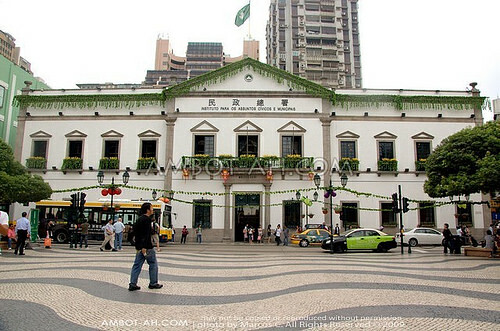 At the center of Almeida Ribeiro is Senado Square (also called Senate Square). 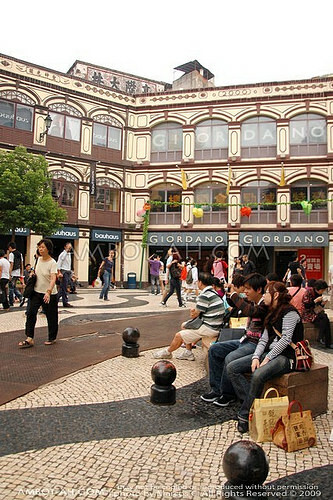 Senado Square is a lively plaza/piazza with cobblestone streets where visitors and locals can sit at a table and watch the world go by over a cup of coffee. 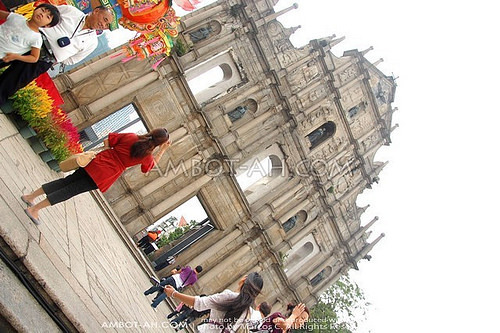 It boasts a rich architectural tradition – St. Dominic’s Church, the Holy House of Mercy, Leal Senado Building and Sam Kai Vui Kun Temple reflect the mix of modernity and cultural exchange of East and West. 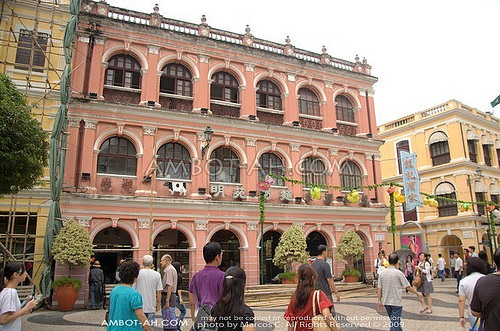 Senado Square is actually part of the “Historic Centre of Macau,” which covers 8 squares and 22 buildings in Macau. 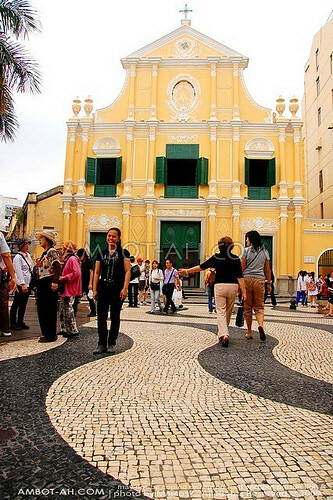 The Historic Centre of Macau is included in United Nations Educational, Scientific, and Cultural Organization (UNESCO)’s list of world heritage sites. 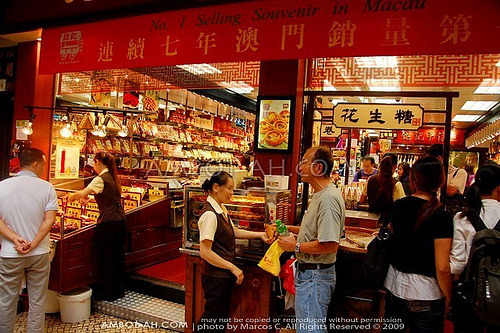 We followed the narrow passageways to the ruins of St. Paul and passed by food shops selling all sorts of meat jerky, tarts, and other foods. 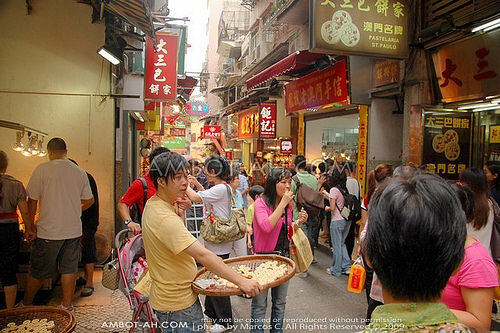 Most of the shops have free food tasting so we made sure grab some bites to sample the delicacies of Macau. 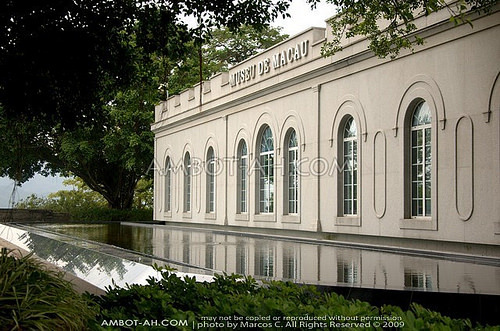 I so love this place! 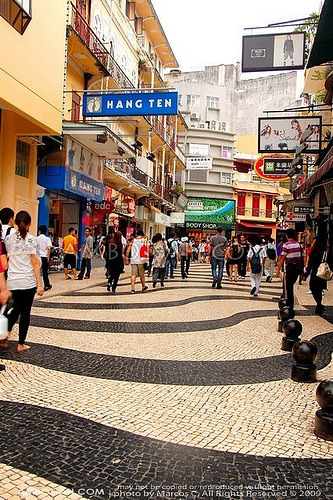 You can really feel Macau’s organic urban core. 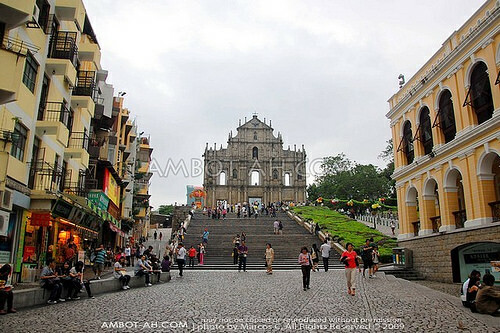 A few more steps later, we walked into a large open space where we caught our first glimpse of the St. Paul Cathedral ruins, historic Macau’s most famous attraction. We spent a generous time to take pictures, we even took a jump shot of us on the grand staircase with the cathedral in the background, it was fun! 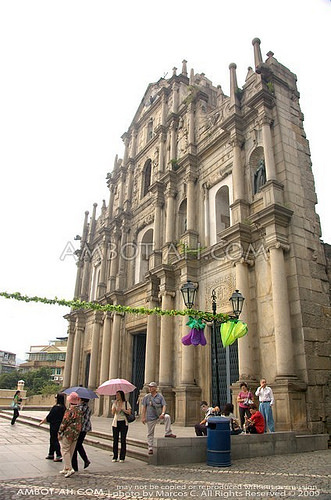 The Cathedral of Saint Paul in Macau used to be the largest Cathedral in Asia but was destroyed by a fire in 1835. 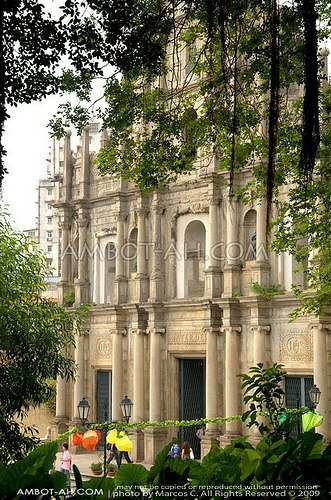 What remains today is only its magnificent facade known for its size and intricately carved details. 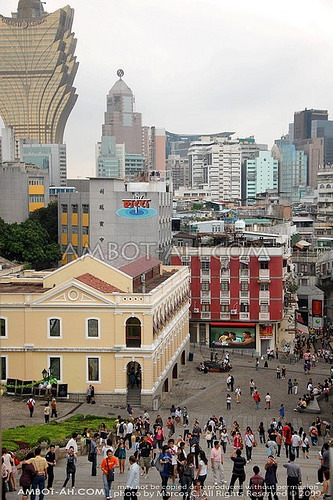 On the right, beside the ruins of Saint Paul Cathedral is the Na Tcha Buddhist and Taoist temple, which is another testament of old Macau’s multicultural identity. 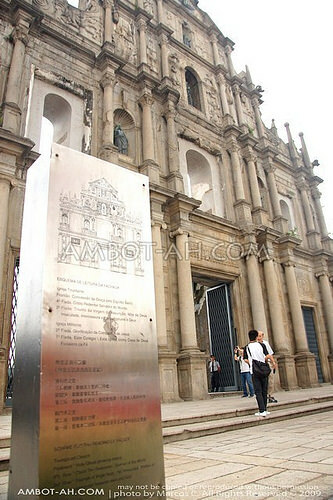 We then went uphill to Fortress Hill at the right side of Saint Paul Cathedral. 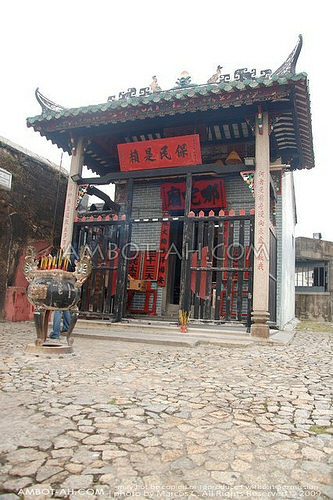 It was very tiring to trek all the way to the top, I’ve read that there’s actually an elevator/escalator somewhere here but we didn’t know where it was. 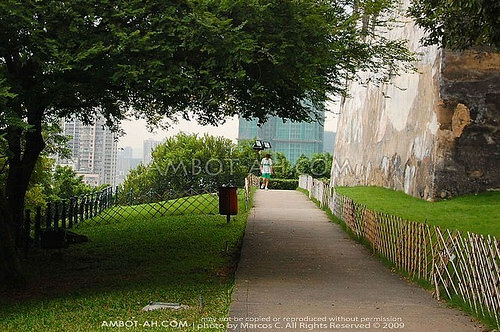 After reaching near the top, we took a short rest on the benches and saw a number of Chinese joggers going around the hill for some exercise. 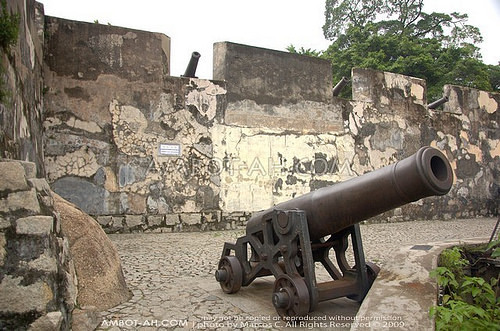 There were a number of cannons surrounding the stone fortress and a 3 level museum built on top. 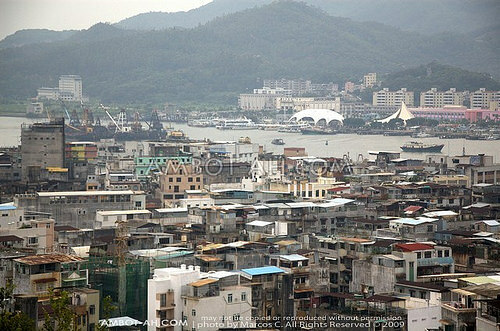 The view was so worth the effort and provided a panorama of Macau Island. 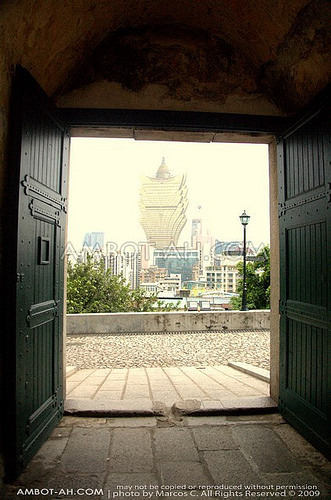 I so wished we had more time to spend exploring the heritage sites of Macau. 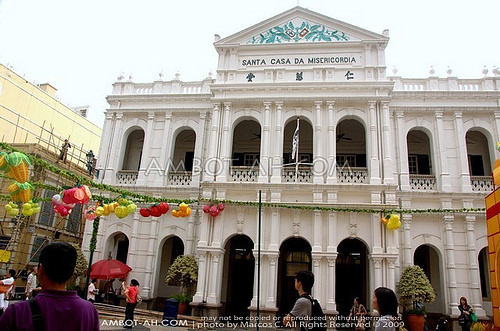 I had a fulfilling time soaking up the history of this once bustling Portuguese colony. 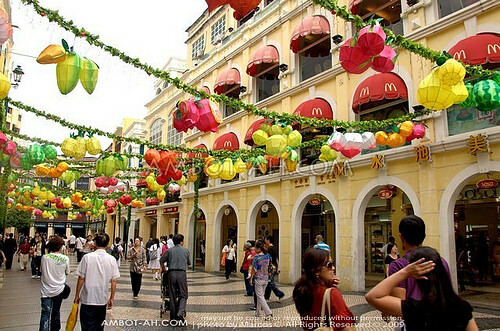 All the more reasons to go back to Macau in future travels. Find more posts about Favorites. 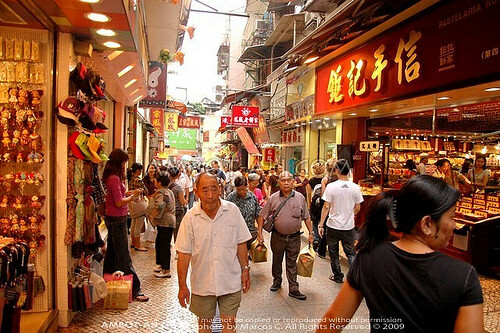 Discover more blogs and travel tips in Macau. My name is Marcos. I'm an off-beat explorer who loves to experience and capture the beauty of the Philippines and Asia. 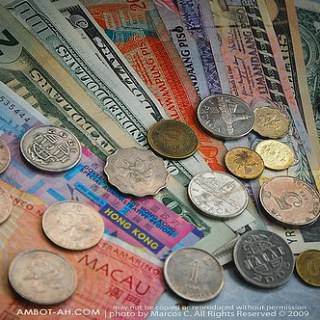 I started making a living online to support myself financially through my university degree. I've been living a location-independent digital lifestyle ever since. Hi there! 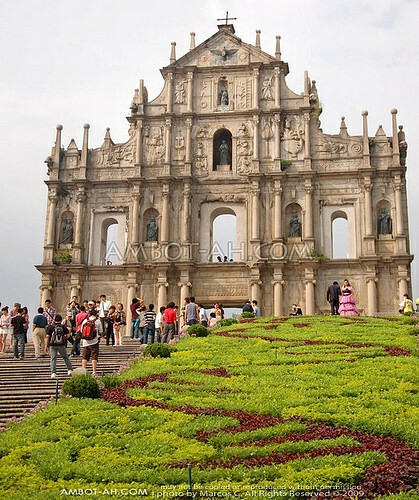 thank you for sharing your wonderful trip to HK – Macau. 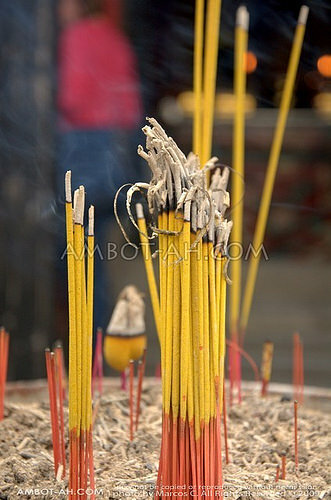 will be going there this November, and your post is indeed very helpful for me to set our itinerary. I just have a few questions and I hope you don’t mind. 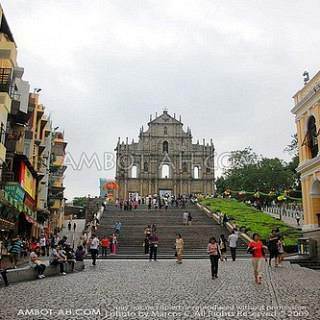 How long is the travel time from Macau ferry terminal to the Venetian hotel and from venetian hotel to senado square/St. paul? thanks in advance and hope to hear from you soon. cheers! 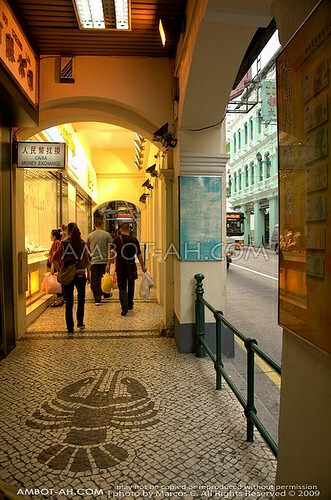 You’re welcome :) From Ferry Terminal to Venetian Hotel was probably just 20 minutes and from there to Senado Square was around 15 minutes. Have a safe trip Chris. we read your traveling and I very interested. 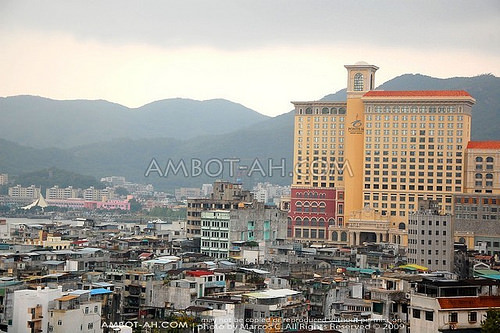 may I question , if I and my family ( 16 person ) from macau to hongkong – september 8, 2010 – I arrange go to : Madame Toussaud , Ngo Ping and Mongkok , can you help me to make scedule ( effisien and effective ) because I’dont know go to three place . 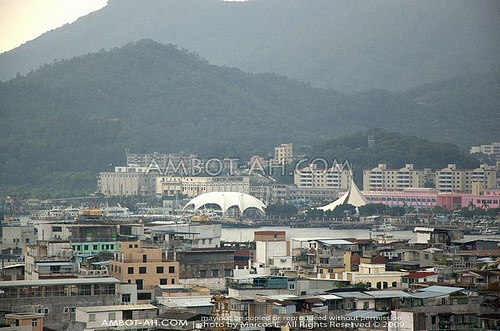 we star from Shun Tak terminal . Thank you for your help . 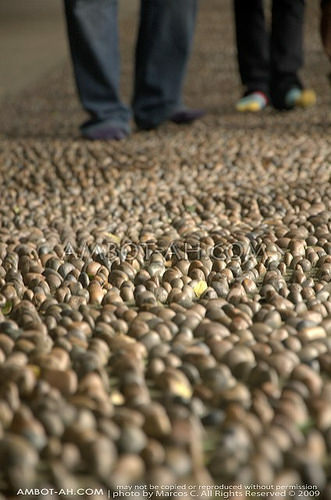 Your blog is interesting and very informative. 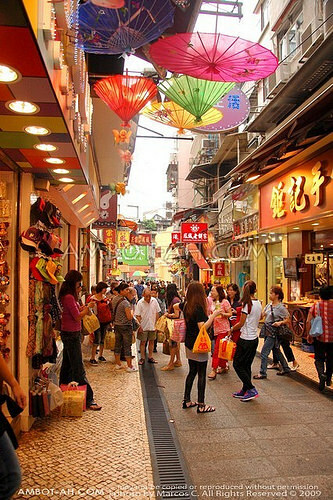 My question is from HK to Macau, before sightseeing the places in Macau, where did you left your baggages or you brought it all along the tour? Cos our flight back to Philippines from Macau is 10pm. I’m travelling with 3 kids and 2 adults. 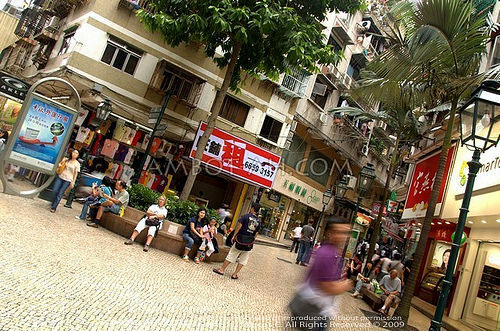 I’m wondering where we can leave our baggages while strolling the area during the day. Thanks. Did you try the Gondola ride? How was it and what’s the best time to ride pm or evening? Thank you. 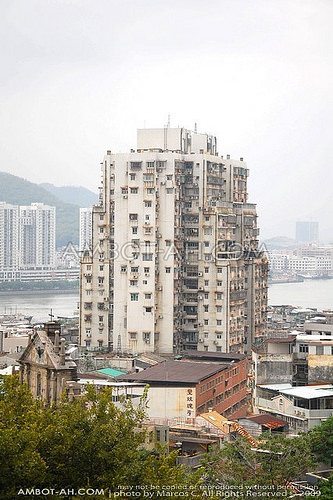 We left it in the concierge of Venetian Macau … we didn’t try the Gondola ride. It doesn’t matter what time you try it since the canals of The Venetian are all indoors. 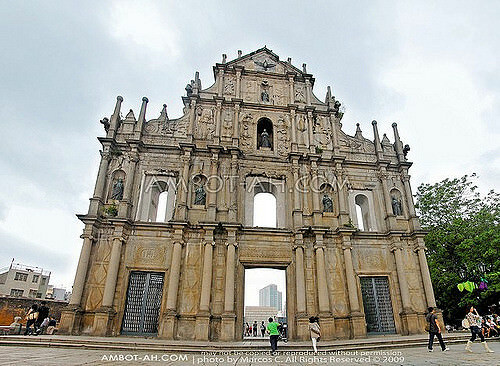 What bus should we take from Ruins of St Paul going back to Macau Terminal? By the way thanks for posting your pics. hello! thanks so much for creating this site, its really a great help. 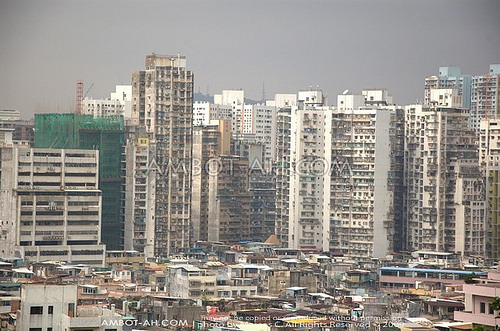 My family is leaving for hongkong on the 30th, there’s 12 of us mostly kids. We have a very tight schedule since we only have to spend 2 full days and 1 night. 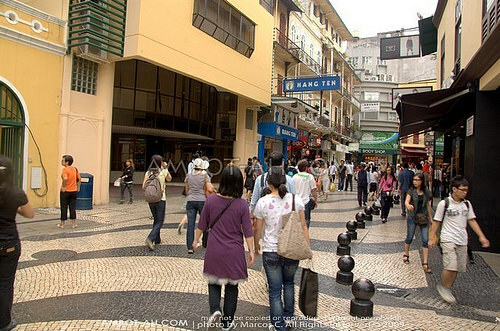 I wanted to visit Macau too. 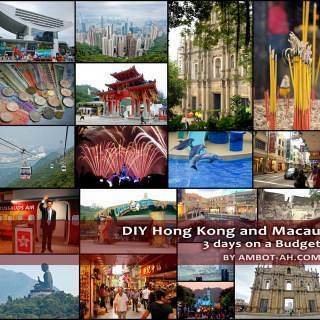 What do you think are the best places to visit that could fit in our tight schedule? 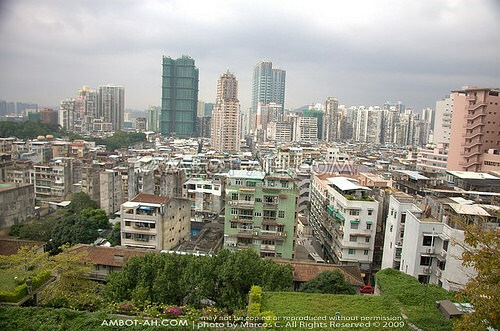 Hi, I and my family will going to Visit Macau on 1/11/2011. 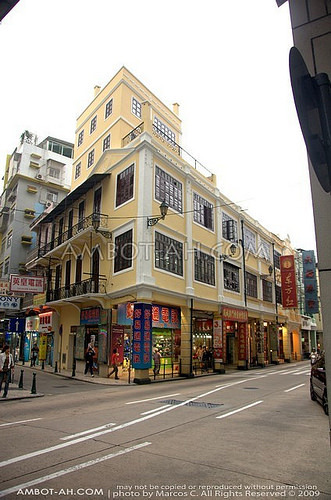 We staying Royal hotel in Macau. 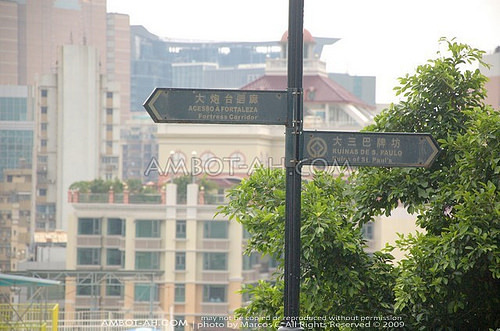 How far from Royal Hotel to Venetian hotel, senado square & St. paul? 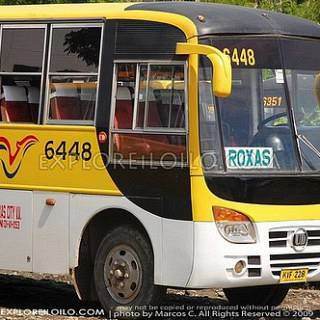 What bus to take. 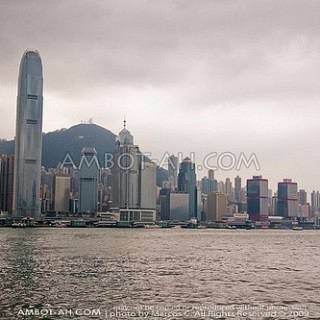 how much is the fare from macau ferry teminal to senado square via Bus 10A? thanks! your sight is very informative…good job! 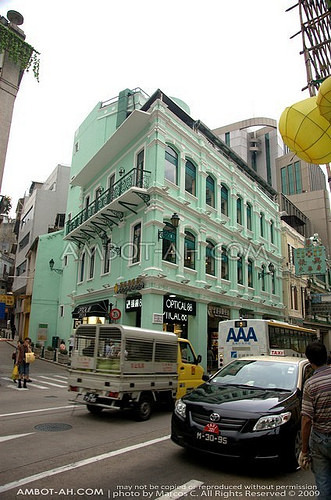 just wanna ask – we will have a 3-day trip to hk. 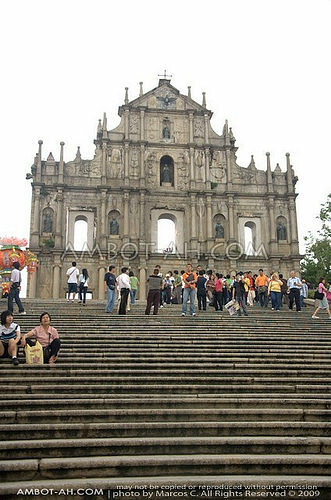 i’m wondering if it’s possible for us to have a quick visit to macau on our last day by ferry in the morning and finish by 12pm? 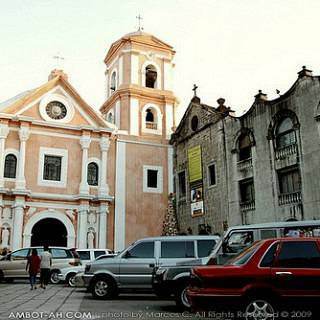 we just want to see the Ruins of St. Paul Cathedral and other nearby tourists spots. 2. from the ferry termial, how do we go to St.Paul’s–how long and how much? 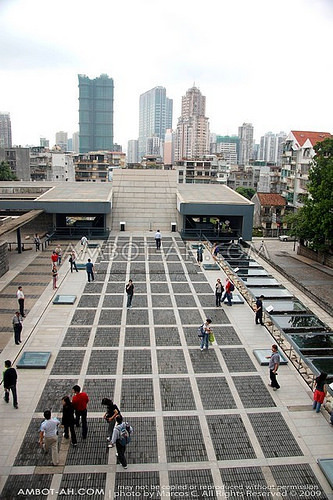 what other tourist spots can we go to near the cathedral? 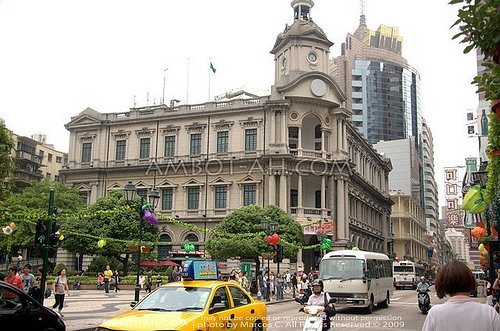 3. is the venetian far from st. paul’s? how do we get there? 4. from the st. paul’s or the venetian, how do we go back to the ferry terminal–how long and how much? 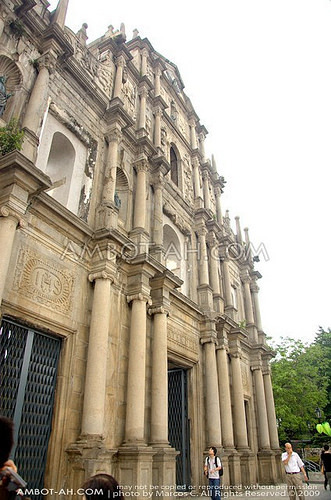 I wanted to know whether the church at Macau was bigger than Se Cathedral of Goa. Posting of new comments is disabled temporarily. Ambot-ah.com — Off Beat Adventures by Marcos Detourist. Learn more About Us.